Officials at the University of Maine at Machias are recommending Kimball Hall be torn down at a cost of $1.2 million. Kimball Hall at the University of Maine at Machias has been closed because of concerns about its structural integrity. 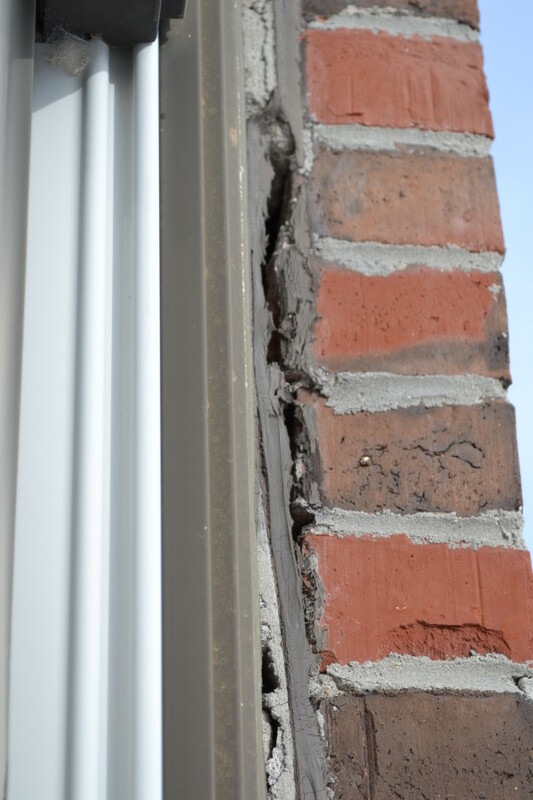 Here, the masonry work can be seen "peeling away" from the window at one corner of the building. Structural engineers told the university they were concerned portions of the exterior walls might collapse. 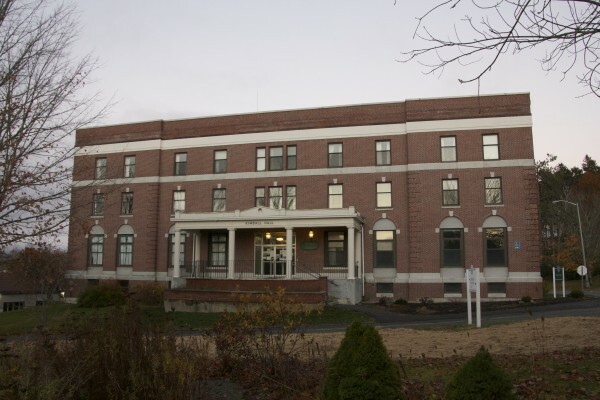 MACHIAS, Maine — Officials at the University of Maine at Machias are recommending that the dilapidating Kimball Hall be torn down rather than renovated. The university evacuated and closed Kimball Hall over safety concerns in February after a “facility assessment” found deteriorating conditions in the structure that was built in 1913. On Thursday, the Finance, Facilities and Technology Committee of the University of Maine System Board of Trustees approved a resolution Thursday authorizing spending up to $950,000 to demolish the 28,000 square foot facility and seed the property to create a green space. An engineering study determined that it would cost an estimated $8.5 million to restore Kimball Hall to working condition. If the full board of trustees approves the resolution at its Nov. 15-16 meeting, the building likely would be razed in the summer of 2016, according to a press release issued Thursday by Dan Demeritt, executive director of public affairs for the University of Maine System. University officials indicated that a competitive bid process could reduce final costs and that further communication and consultation about the project with the Machias campus community would continue over the winter if the demolition is authorized. During a meeting for faculty and staff Tuesday afternoon, Mark Hatt, chief business officer for the University of Maine System, described the cost to repair the building as “exceedingly high” at $8.5 million. At that same meeting, Bob Farris, director of facilities for the Machias campus, said the need to make the building handicap accessible and to get rid of asbestos contributed to the high cost of renovations. Hatt stressed that the $8.5 million repair cost estimate would only bring the building back to a habitable condition and would not cover a total restoration. The repaired building would be suitable for residence halls, but the university does not need more residence halls, he said. Using the building for faculty offices would mean adding weight from books and bookcases, office equipment and filing cabinets, Hatt said. Hatt said several engineering firms, including three consultants and two engineers from Orono, looked at Kimball Hall between February and now. Their reports and the cost estimates to repair the building helped officials make their decision, Hatt said.